Many Tufts economics majors go on to pursue a variety of higher degrees in economics and related fields. This post contains some informal advice and helpful links to get started on your research. Interestingly enough, most of the seniors majoring in economics that I know aren’t going to graduate school next year, so I’m taking this opportunity to remind you that there is a great deal of real-world experience to be gained before pursuing a higher degree. Going straight into grad school, especially with an economics degree, is not for everyone. By now I’m sure you’re familiar with the term opportunity cost, which is something you should absolutely think about. That said, the types of degrees you can pursue with an econ background are VERY different from each other. Some of you may be familiar with the numbers that often appear on television, websites or magazines regarding exchange rates, what they mean and what are their implications. If you’ve taken a course like International Economics or International Finance, this subject is one you’re likely to recognize. The theory suggests that that in the long run, exchange rates should move towards the level where the price of an identical basket of goods or services bought in two countries is the same. That point is known as the PPP exchange rate. These baskets of goods vary for every country depending on consumer preferences and spending patterns (what constitutes these baskets has often been a source of disagreement). Here’s the interesting part. To simplify this theory and make it more accessible to people not necessarily knowledgeable about currency fluctuations, in 1986, The Economist magazine published the “Big Mac Index”, essentially a data table with prices of a single Big Mac burger in many countries in local currencies. The idea was to make the basket of goods merely a McDonald’s Big Mac burger so as to determine whether currencies were being over or under valued. How? Let me give an example. Let’s say the average Big Mac in America costs US$3.22 and 509 Kronur in Iceland (US$ 7.22 at the market exchange rate). This implies a PPP of 158 Kronur for a dollar (where they would equalize). We then compare the exchange rate of the currencies to the cost of a Big Mac to see where it would be cheaper overall to buy it. In this case, the actual dollar exchange rate is 68.4, meaning that the Icelandic krona is currently being over-valued by 131% and it should (in theory), depreciate against the US dollar. Even though The Economist has stated many times that this indicator should not be taken seriously, many people closely follow the data given, as some believe it has currency fluctuation predicting capabilities. Over its twenty-year existence, the Big Mac index has come under a lot of scrutiny for its simplicity, but the magazine remains firm on their view that the data produced should not be interpreted extensively, that it is a simpler way of viewing PPP theory and has been continually publishing it several times a year. There is no doubt that its popularity stems from its simplicity and there have been other attempts that similarly dumb down the theory (i.e. the “IPod Index”). Whether it is capable of predicting future trends in exchange rates is questionable but the Big Mac Index remains a useful (and tasty) modern economic theory that helps you understand currency fluctuations. P.S. This type of analysis is also known as “Burgernomics” (no joke). The Tufts Economics Society is hosting a lecture by Professor David Dapice about how nations grow fast for a while and then get stuck before becoming rich, and how that illuminates the shortcomings of standard development theory. The event will be happening on Wednesday April 4th at 6:00pm in Braker 001. Feel free to come check it out—it’s open to all Tufts students, and we’ll be serving Dave’s Fresh! This post is an interesting introduction to the middle-income trap, using China as a case study. A few weeks ago the World Bank Group released a 400-page long report on China’s future economic prospects, termed “China 2030: Building a Modern, Harmonious, and Creative High-Income Society”. In the report economists analyze China’s current economic conditions as well as various risks that pose a threat to its economic growth. The report proposes a series of broad recommendations that should help China shift from a middle-income country to a high-income country, thus avoiding what is commonly termed the “middle-income trap”. What is this so-called “middle-income trap”? Well, theories of economic convergence state that it is natural for low-income countries to grow faster than high-income countries, eventually allowing them to catch up in terms of per-capita income levels. Part of the reason is because an abundance of cheap labor in poorer countries and inward flows of advanced technology from advanced countries help propel rises in productivity and output. The middle-income trap occurs when developing economies, for some reason or another, run into difficulties after a certain point (say, when poorer countries approach the technology barrier) and growth in per-capita income levels stagnate, trapping these countries in the so-called middle-income category. 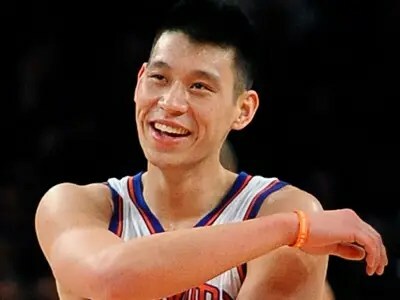 The Economics of Jeremy Lin- A brief overview and analysis of the economic effects a young rising star has and will have on the Knicks and the NBA as a whole. Consulting sounds like a dream job to a lot of people, and for many it is. If you’re thinking about looking for jobs or internships in consulting, though, everyone will expect you to know the basics of the industry. Here are six things everyone interested in consulting needs to understand. There is just no way that you can turn on the news these days and not hear something about Greece and how it’s slowly deteriorating the European financial system. If you’re someone who simply has no idea what’s going on, don’t worry. I don’t blame you one bit. European politicians (with the help of the media, of course) have turned this into a huge mess that’s particularly difficult to decipher. My job here is to give you a quick and dirty summary of everything you need to know to understand one of the most important events that’s happening in our generation (and also give you something to talk about at interviews of course). Let’s get started.